Sam R. Kennedy, "How to Become a Video Game Artist" | Free eBooks Download - EBOOKEE! Sam R. Kennedy, "How to Become a Video Game Artist"
Posted on 2013-08-10, by soc_arm7. Every year video games generate billions of dollars and some of the most dynamic and engaging artwork today. Its an ever-growing field that holds great professional opportunity, but you need the right skills and savvy if you want to stake your claim. In How to Become a Video Game Artist, veteran video game designer Sam R. Kennedy provides the inside track on everything you need to forge a career in the world of video game art. Starting with the basics of game creation and a look at the artistic skills necessary to get started, Kennedy spotlights specific, key roles for creators, from concept artists to character animators to marketing artists and beyond. Each chapter features screenshots from popular video games like Tom Clancys Ghost Recon and World of Warcraft; interviews with video game art professionals whove worked for top gaming companies like BioWare, Blizzard and Ubisoft; step-by-step examples of actual game art and detailed breakdowns of the training and portfolio samples youll need to make these jobs your own. For anyone who wants to go from gamer to game designer, this book contains all the secrets youll need to rise to the top of one of the most exciting industries of our time. 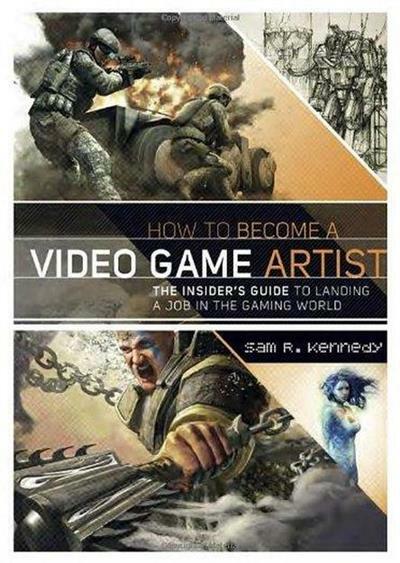 No comments for "Sam R. Kennedy, "How to Become a Video Game Artist"".